C. Brandon Ingram Design is an award-winning full service Atlanta-based Residential Design Firm with major concentration on Custom Homes, Renovations, and Architectural Interiors. Drawing constant inspiration from classic and traditional architecture of the past, Brandon artistically crafts homes that are rooted in history, but are also unique and of their time. A sense of charm, character, and familiarity created through subtle, honest details have become a hallmark of the CBI portfolio. 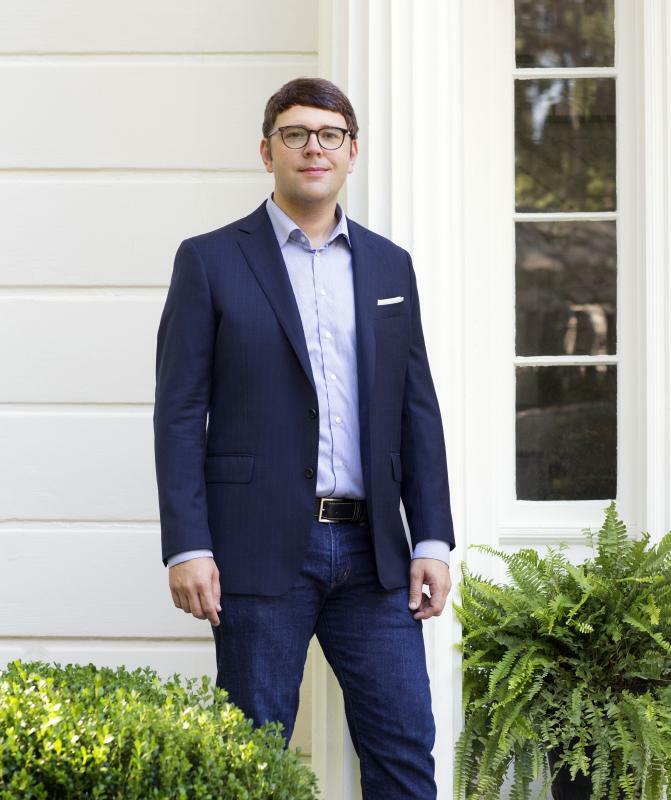 A South Georgia native, Georgia Tech Alumnus, and 2016 winner of the prestigious Philip Trammel Shutze Award from the Institute of Classical Architecture and Art, Brandon has designed homes throughout the South, and has been featured in numerous local and national publications, including Garden & Gun, Southern Living, Atlanta Homes & Lifestyles, and Traditional Home. I grew up deep in Southwest Georgia, and was influenced at an early age by the work of the region’s native architectural masters, Frank McCall, Jr. of Moultrie, and Edward Vason Jones of Albany, among others. Their ability to create architecture that is unique and of its time, while also being respectful of the traditional architecture of the past has become a benchmark and goal of every home I design. For me, scale and proportion are more than just catch phrases; charm and character are never mere happenstance. I graduation from the College of Architecture at the Georgia Institute of Technology in Atlanta in 2003. Following an internship with an Atlanta firm, I founded C. Brandon Ingram Design in 2012, and continuously build on the knowledge, skill, and unfaltering love of traditional architecture that have guided my career thus far. I am personally and intimately involved in each and every aspect of a project - from conceptual design through final construction documents and beyond - to ensure that all of the details, subtleties, and inherent character are realized from beginning to end; after all, it is those details that are the cornerstone of every great home. When not immersed in design, I enjoy spending time with my wife, Katie, our son and twin daughters, and our Boston Terrier, Gus, in the 1930s Greek Revival house that were are currently renovating in Buckhead. I am an active member of The Institute of Classical Art and Architecture, The American Society of Architectural Illustrators, The Atlanta Historical Society, The Georgia Tech Alumni Association, and Peachtree Road United Methodist Church. Personal passions of art, travel, photography, and an ever-growing library of new and rare architecture books, provide me with constant inspiration, and fuel the passion behind all that I design.